The Marble Arch and Edgware Road area is overflowing with cultural chronicles, interesting insights and ancient anecdotes. 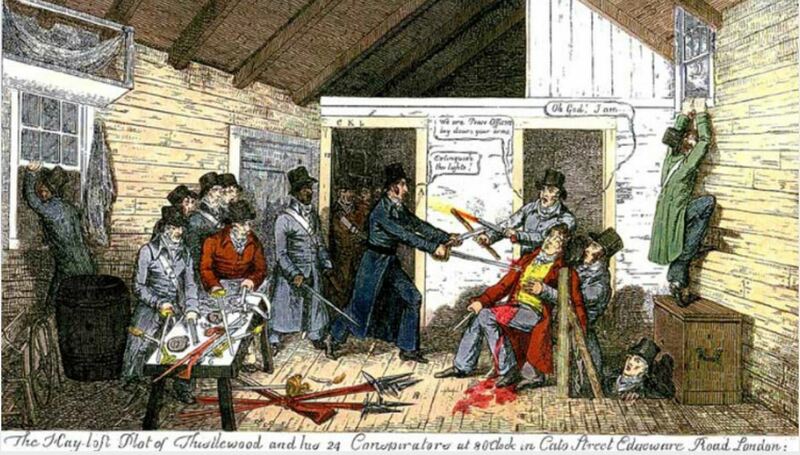 A prime example of the rich history in the area is most pertinent today, on the 198th anniversary of The Cato Street Conspiracy in Edgware Road, in which police foiled an attempt to murder all the British cabinet ministers and Prime Minister, Lord Liverpool in 1820. If you were to wander down Cato Street today, you would find a peaceful, almost mews-like residential area off of the bustling Edgware Road with two charming local pubs, Lord Wargrave and The Larrik on either side and the community hub Seymour Leisure Centre to the east. 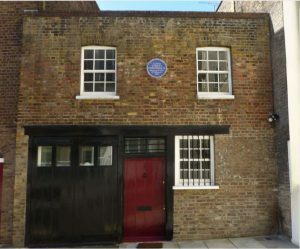 In fact, you might notice an inconspicuous English Heritage Blue Plaque hinting at the perilous night on this day, 23 February, in 1820. On that night, around 7:30pm, 12 police officers arrested 13 conspirators whilst planning to murder and overthrow the British government – now referred to in history as the ‘Cato Street Conspiracy’. 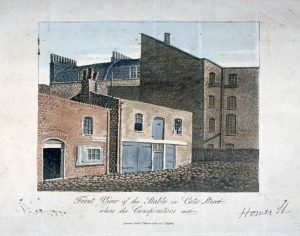 How did such a radical event occur on Cato Street? During the late 1700’s and early 1800’s, England was undergoing vast political and cultural changes as it adapted from an agricultural to an industrial country. During this uncertain time, social unrest and radicalism developed, resulting in a new series of restrictive laws with the aim of disbanding militant groups. One such group was the Spencean Philanthropists, inspired by the British radical advocate Thomas Spence. When Thomas Spence died in September 1814, well-known London radical Arthur Thistlewood started the Society of Spencean Philanthropists with ‘forty disciples’ with the intention to keep Spence’s beliefs alive. The Spencean Philanthropists would meet in pubs around London, including the Horse & Groom in Marylebone, to deliberate how they could create an equal society in Britain. Unfortunately, whilst the foundation of their beliefs had the best intentions, their plans were extreme. Disagreeing with the newly formed harsh government measures, The Spencean Philanthropists plotted to overthrow the government by assassinating the whole of the British Cabinet and the Prime Minister during a dinner at Lord Harrowby’s home in Grosvenor Square. In a plot twist, an informant alerted the police of the Spencean Philanthropists’ plot and of their meeting at Cato Street on 23 February 1820 at 7:30pm. The authorities stormed the premises during the planning meeting and arrested 13 members, foiling the assassination attempt. 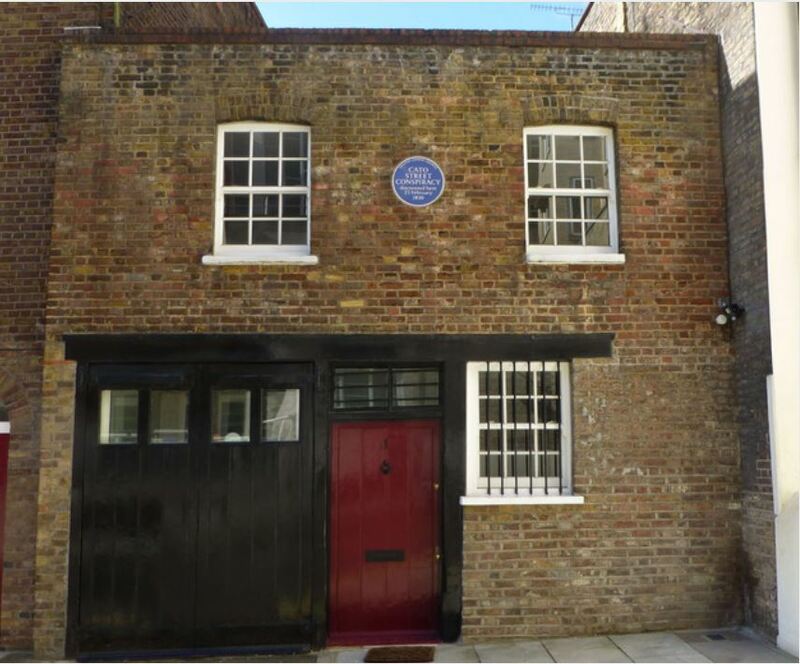 Luckily for us, Cato Street is a quaint little corner of the Marble Arch and Edgware Road…with a very exciting past.